It should not come as a shock that the highest price paid for a Series 1 card was one from super seller BrentandBecca. 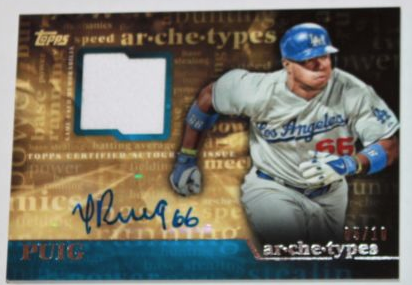 The surprising part is it was a relic, not an autograph. 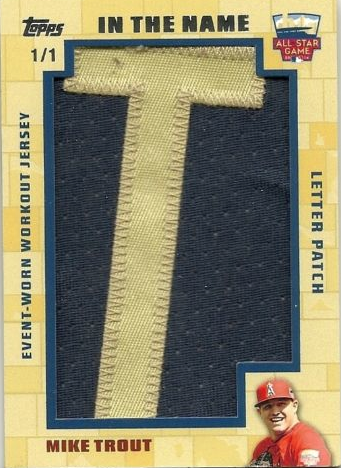 This 1/1 letter patch taken from an event-worn workout jersey sold for the highest price with a 22 bid auction. The final bid came in at $536.99. 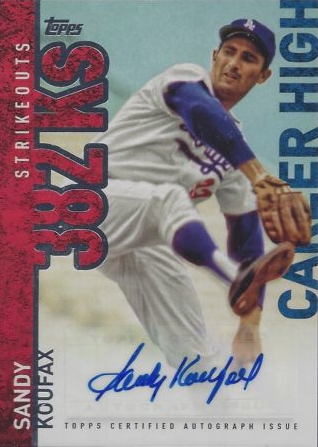 That far exceeded any other card and is a price that could be very hard to beat. 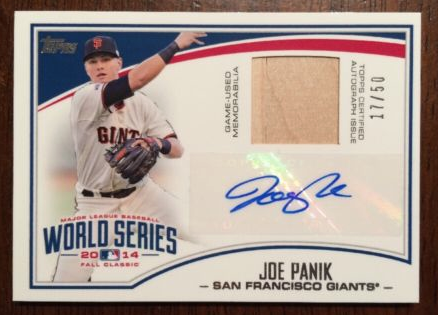 For those of you who say base cards don’t count anymore, you might want to rethink that. 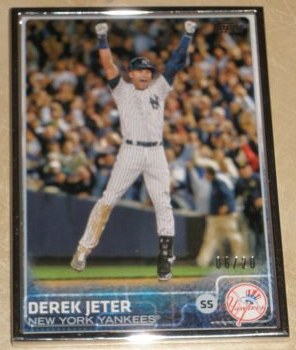 There is nothing uncommon about this Jeter Base card except for the price it went for at auction. 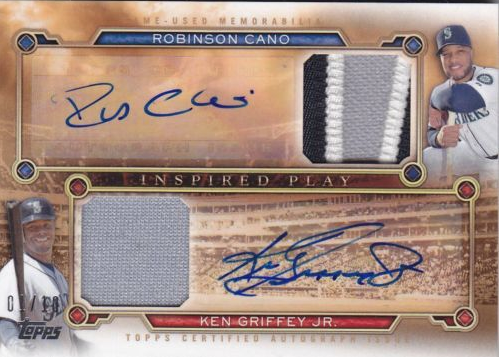 After 35 bids, this card sold for $100. No… we did not forget the decimal point. 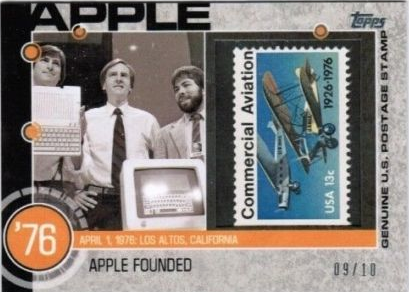 This dollar card, and that’s on a good day, sold for 100 times that price. 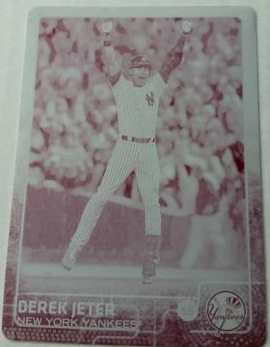 It's not even the error card some are claiming is out their , a Jeter base card without the Topps foil logo. 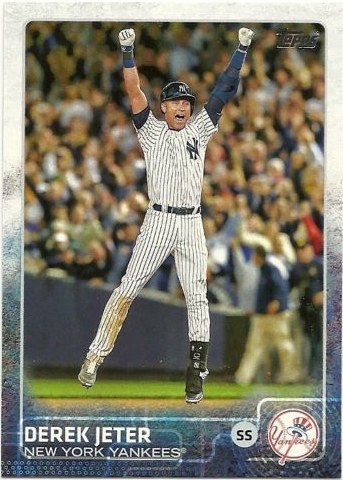 (For the record, we have not heard any official word from Topps about those, use this link to judge for yourself.) 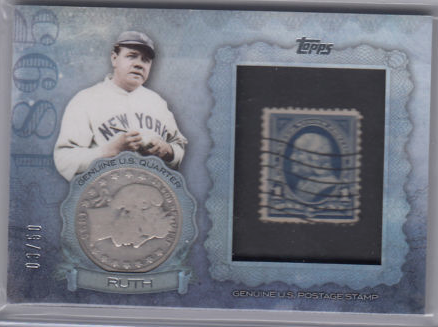 The bidding action seems to have been between 4 bidders who fought for this cards starting at $5 before it ended at a Benjamin. And who do you think owns this auction. Yep, BrentandBecca. Here is the proof. BrentandBecca has confirmed that the buyer is real and, indeed, paid for the card. 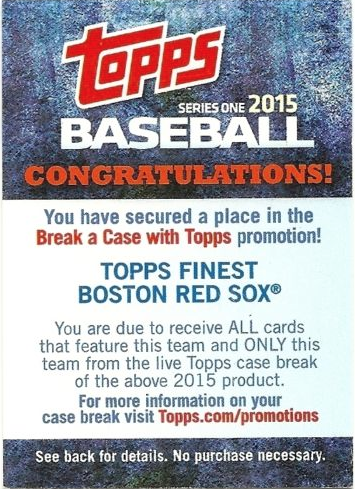 The Boston Red Sox in a Case Break of 2015 Topps Finest Basbeall conducted directly by Topps. That ends on Thursday. Use this link to see the current bid. There are several buying options here. You can try to bid on one that starts at $18.99 that ends tonight at 5:19PM Pacific Standard Time. (Use this link to get to that auction) If you miss that one, or you just want to buy it now without getting into bidding, you can purchase them right now. Prices start at 20.99 and go to 26.99 so first one there gets the best deal. Use this link to get to the BIN base sets. 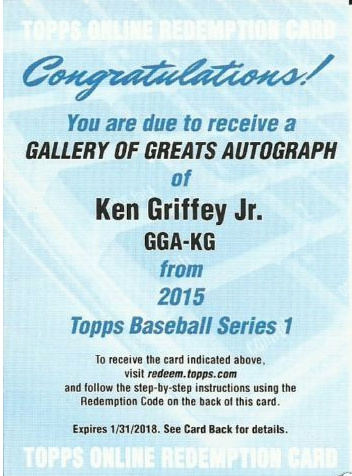 To find auctions on eBay for other 2015 Topps Series 1 cards that are still available, use this link.